An infinitive is a verb is its basic form, such as To push or To sit. Grammar purists would argue that placing an adverb in between – in other words, splitting the infinitive – is an absolute horror. 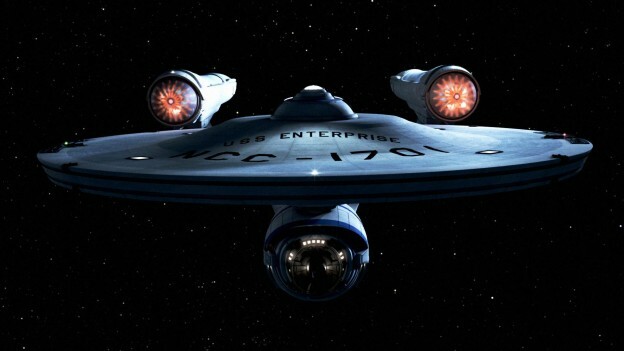 Perhaps the most quoted example of split infinitives is Captain Kirk’s ‘To boldly go where no man has gone before’ bravado opener to ‘Star Trek’. Why do split infinitives cause splitting headaches in the first place? It all stems from the rules of Latin, as you can’t split an infinitive because the basic verb is contained in one word, not two. Fact for the day: Shakespeare never ever resorted to a split infinitive. I was taught to always write a thank you letter after receiving a present packs more of a pleasing punch than I was taught always to write a thank you letter after receiving a present. Numbers are expected more than to double this year is a load of drivel compared to Numbers are expected to more than double this year. How much of a split infinitive purist are you? Fowler’s Modern English, that great wordsmith’s bible, declares that the English-speaking world may be divided into 1) those who neither care nor know what a split infinitive is; 2) those who do not know, but care very much; 3) those who know and condemn; 4) those who know and approve; and 5) those who know and distinguish. If ‘To really understand’ is more your turn of phrase than ‘really to understand’, then you’re probably in the first category and that’s perfectly fine. If you’re a non-split die-hard, you’re in the third one. Those in number five feel that although a split infinitive is naughty, it’s better than sounding ambiguous or downright odd. Compare Our object is to further cement trade relations with Our object is further to cement trade relations. I’m with the number fives. What about you? Written by Caroline Gibson, freelance copywriter and grammar queen (well, most of the time). If you have any questions about punctuation or grammar, or need help with other split infinitive examples, do drop me a line. This entry was posted in Grammar & punctuation on August 3, 2015 by Caroline Gibson. … I’ll let myself out now. That’s a good spot and it made me laugh! Have you read ‘Eats, Shoots & Leaves’? Yes, it is very frustrating but I just check through regularly. I do have a filter so that all comments have to be approved by me – am sure you do too. Sorry not to be of more help! You appear to grasp a lot about this, as if you wrote the ebook. This is fantastic blog. An incredible read.